Skill moves not only look awesome when you pull them off but they can be really effective when playing the computer or another human opponent. Space is tight in Fifa 19 Mobile so pulling off a skill move can give you those extra few yards to pull off a game-winning shot. There are tons of skill moves to learn and master, too many in my opinion – I would recommend learning just 2 or 3 and really nailing them down so when you use them you know they’ll work and if you take the time to master them you’ll really appreciate it when you find yourself one on one with a center half – a couple of well-worked skill moves can be the difference between winning and losing. The best way to get used to your new controls is to have a kick around, set up an exhibition game. Make things easy for yourself by choosing a 4 or 5-star team and play against as weak an opponent as you can. This will be sure to give you the best chance to practice with your new control method. Once you get into the swing of things you can increase the difficulty of your opponent to give you more of a challenge. Passing is the lifeblood of any football team, without being able to pass the ball well you won't creating any chances and likely looks a match even to the weakest opponent. To begin with Stick to short simple passes, remember the ball will go in the direction you are pushing the left analog stick as opposed to assisted controls which go straight to the feet of your teammate. Also, don’t rush the play by this I mean don’t constantly hold down the sprint button, this will just lead to the opposing team closing you down quicker, only use the sprint button down the wing or when you are clear of your marker in the middle of the park. I’ve heard lots of people complain they don’t have enough time on the ball in Fifa 19 Mobile, well I can assure you its because they sprint forward at every opportunity, holding down the sprint button constantly making it easy for the opposing team to tackle and get the ball. Short simple passes and slow build-up play are key here to mastering the art of passing, think about how Arsenal play this should be your inspiration and the way you hope your Fifa 19 Mobile team plays under manual control. Once you have the knack of short simple passes in Fifa 19 you can start to play longer passes, remember it's all about the angle of the left analog stick that will determine the angle of your pass. Through balls are exactly the same as passing and successful through balls are all about the power of the pass and the angle of your analog stick when making the pass. Spend the first few games trying to play the ball around the park and creating space for your players, try not to worry about scoring goals as this will come later, focus on maintaining good possession and having a high pass success rate. Ensuring your side has more of the possession will ultimately lead to you winning games providing you defend well. Shooting is definitely the hardest part of manual controls and it can get frustrating at times to miss opportunities you have created through patient build up. Practice is always the key and trying new techniques out when you are in on goal. Probably the best way to practice shooting is to play a practice game in the Fifa Mobile 19 arena and then taking what you have learned into an exhibition game. What to remember when shooting is the ball will go where your player is facing or where the analog stick is pointing. Now as the goal is relatively small you need to be very gentle with the analogue stick when taking your shot, just move the analogue stick slightly to the left or right (when I say slightly I am literally taking millimeters) moving it any more than that will result in a shot that is way off target! It's always advisable to learn a couple of skill moves thoroughly especially if you like to use your wingers to create chances. 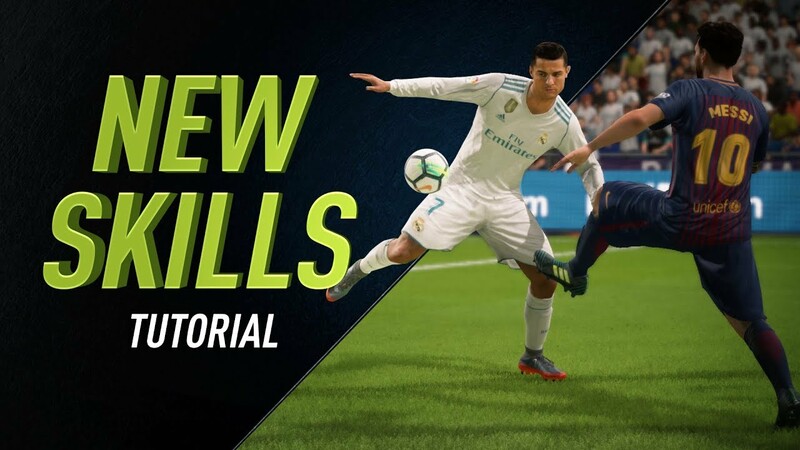 Although they can be quite daunting at first the basic skill moves are very easy to learn and master and can make a huge difference to your game. Knowing a basic move will let you easily beat defenders or gain a few yards of space when you need them. Ideally suited to wingers and strikers the skill moves can make a huge difference to your gameplay and, to top it off, they look great! Start with the basic skill moves such as the sidestep faint and ball roll – easy to learn and with these in your arsenal you can take on the computer, beat opposition players and look like a pro while doing it! For the sidestep faint flick the right analogue to the left or right of your player onscreen (remember the controls are in context with where your player is facing on the screen) then once the skill is complete move the left analogue stick in the opposite direction – fooling the defender while give your player enough space to sprint past the defense. The Ball roll is also an equally effective and basic skill trick to use to beat a man, simply do the same as above however instead of flicking the right analog stick left or right, you hold it in position (left or right) and then move the left stick in the opposite direction thus fooling your marker and giving you space. Practice these two tricks, to begin with as they are basic most players can use them, once you get a bit of confidence you can start trying out better skill moves that look more impressive. 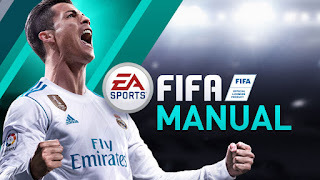 Now that you have spent a bit of time practicing the new Fifa 19 Mobile manual controls and after a dozen or so games you will start to see what manual controls can do for you and how rewarding it is to play a 20 yard pass straight to your players feet, or a well-timed through ball allowing your striker a clear-cut chance on goal. Remember the golden rule nothing in this life worth anything comes easy and I promise you if once you get the hang of manual controls you will be playing the most rewarding football game ever made!